Paula's Dollyland: Lots of lovely things and who knew finding wood would be so exciting! Lots of lovely things and who knew finding wood would be so exciting! 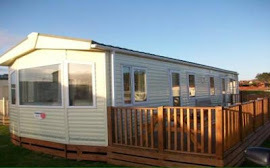 Just back from another lovely weekend at the caravan. The weather wasn't quite so nice but it was dry and thats all the doggies need! Managed to get a 2nd trip to the DH shop in Inverness in as my new house will be arriving shortly and I wanted to get a few bits so I could make a start on it. I spent far more than I should have but we won't be back up for a while now so will need to get selling on Ebay to make some funds! I got lots of lovely bits of whitewood furniture as its so much cheaper and with an extra 10% they worked out a really good price so I bought loads lol! I love giving them the shabby chic treatment and cant wait to get started on them! The dresser and sideboard will be for the B and B dining room and the hall stand will go in the reception area, bit gutted it has a huge crack across the back but it was the only one so a bit of filler and a coat of paint will sort it out. It was only £4 so it will be fun making it look nice! I bought some lovely pale green and yellow paints in B & Q so that will be the colour scheme in the dining room. I saw the bedroom set last week and fell in love with it but I had no room so didnt get it but with 2 more bedrooms to furnish I had a good excuse to get it this time! Its really nice and the perfect style for a seaside B & B I thought! I wasn't 100% sure about the bathroom but again I saw the shower last week and really liked. It was still there and and at just over £6 it was a bit of a steal. The modern sink was only £2 so I decided to give my visitors a lovely modern bathroom. The 2 white tables are for the dining room. I was going to go with round ones but liked the freshness of the white, plus they were the only thing she had 2 of lol! I bought a nice little selection of food for 60p each and the basket of fruit (Reutter I think?) was my wow item! The one thing thats quite expensive but I love and always add on the end cos I know I will regret it!! All I need now is a house so fingers crossed it will be here in the next day or 2!! On the way home today I popped into B & Q for a tester pot in a nice pale green and remembered to have a look to see what wood they had! Well I was in for a shock they had a huge selection of pine perfect for DH projects and all the pieces I bought were between 38p and 98p! I also got another bit I thought would make great skirting boards. Its about 7ft long so will do lots of rooms and was £2.78!! never knew I could get so excited about a bits of wood ha ha ha!! Also ripped of a bit of border from the testers bit as I thought it might look nice in the B & B modern bathroom somehwere! Beautiful minis. I like the minis for the modern bathroom. Must get some of that bare wood furniture myself, will see if there is any at the dolls house shop in York when I am down in July. Lovely load of stuff there, look forward to seeing all the barewood stuff shabbied up. Don't think I'd know what to do with all that wood, but good bargain and know you'll make great use of it!